Twilight director Catherine Hardwicke jumps from one preteen obsession to another: Next she'll be directing preteen posse The Flock in the movie Maximum Ride, where genetically-engineered kids get wings. Based on the books by James Patterson, Maximum Ride focuses on a group of kids who escape from their scientist makers (dubbed the "whitecoats") and are constantly on the run from the "Erasures," one of whom will hopefully be played by Arnold Schwarzenegger. These books have a fairly healthy teen fan base and, if done right, could stand to make Twilight numbers. 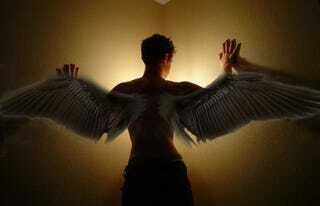 Because come on: Teens with wings. Who isn't going to watch that, especially if they're pretty?